Today was again supposed to be cloudy with rain but once we left for Lake Winnipesaukee the sun came out and we had another really lovely, hot sunny day. I had a thought after posting yesterday regarding travelling at speed ………….. that’s a way to smooth out wrinkles!! Just a thought …………. well I had drunk a glass or two by then!! We last visited the Lake some 20-odd years ago together with Squam Lake. Again, for those old enough to remember the film ‘What About Bob’ an hilarious comedy with Bill Murray and Richard Dreyfuss, was filmed on Lake Winnipesaukee. The area was full of families and young people enjoying their vacation. There was also romance in the air! 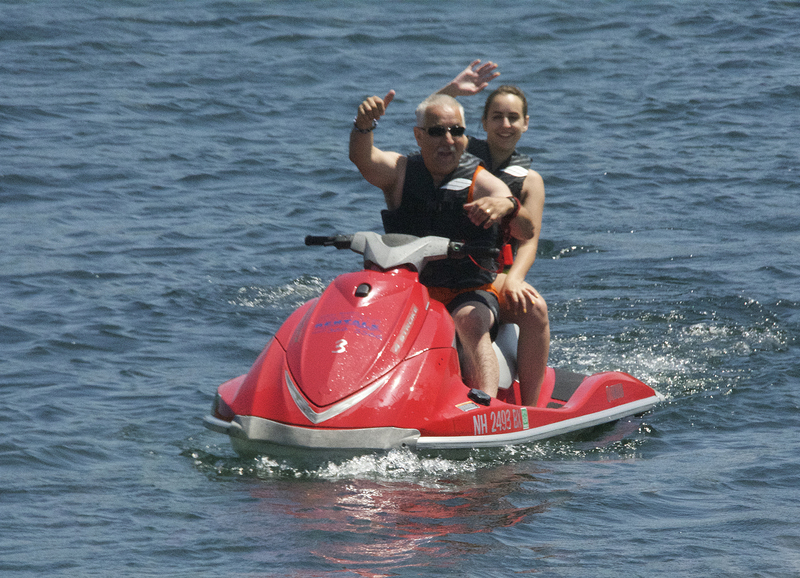 Lake Winnipesaukee is the largest lake in New Hampshire. It is approximately 21 miles (34 km) long (northwest-southeast) and from 1 to 9 miles (1.6 to 14.5 km) wide (northeast-southwest), covering 69 square miles (179 km2)—71 square miles (184 km2) when Paugus Bay]—with a maximum depth of 212 feet (65 m). The center area of the lake is called The Broads (just like Norfolk). The lake contains at least 258 islands, half of which are less than a quarter-acre in size, and is indented by several peninsulas, yielding a total shoreline of approximately 288 miles (463 km). The driving distance around the lake is 63 miles (101 km). It is 504 feet (154 m) above sea level. 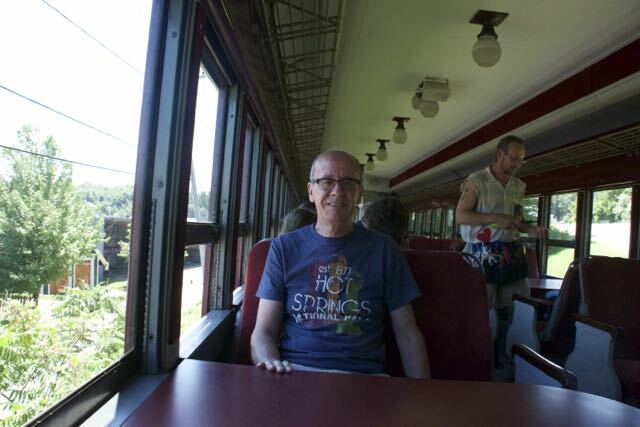 It has been a popular tourist destination for more than a century, particularly among residents seeking a safe haven from the summer heat of Boston and New York City. The Native American name Winnipesaukee means either “smile of the Great Spirit” or “beautiful water in a high place.” At the outlet of the Winnipesaukee River, the Winnipesaukee Indians, a subtribe of the Pennacook, lived and fished at a village called Acquadocton. Today, the site is called The Weirs, named for the weirs colonists discovered when first exploring the region. Winnipesaukee is a glacial lake and over millions of years the area has been under ice thousands of feet thick four times. 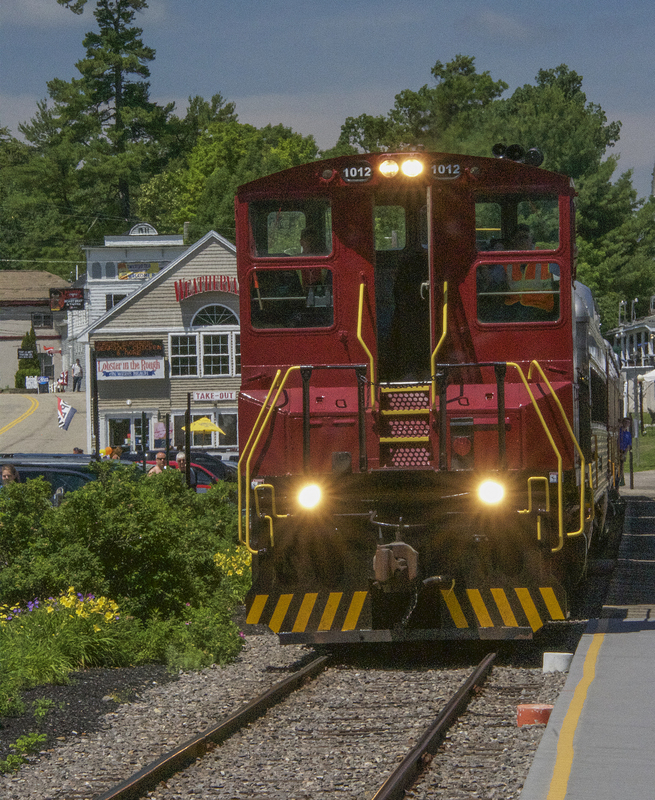 Today we stopped off at Weirs Beach, a lovely spot and decided to take a ride on the Winnipesaukee Scenic Railroad. 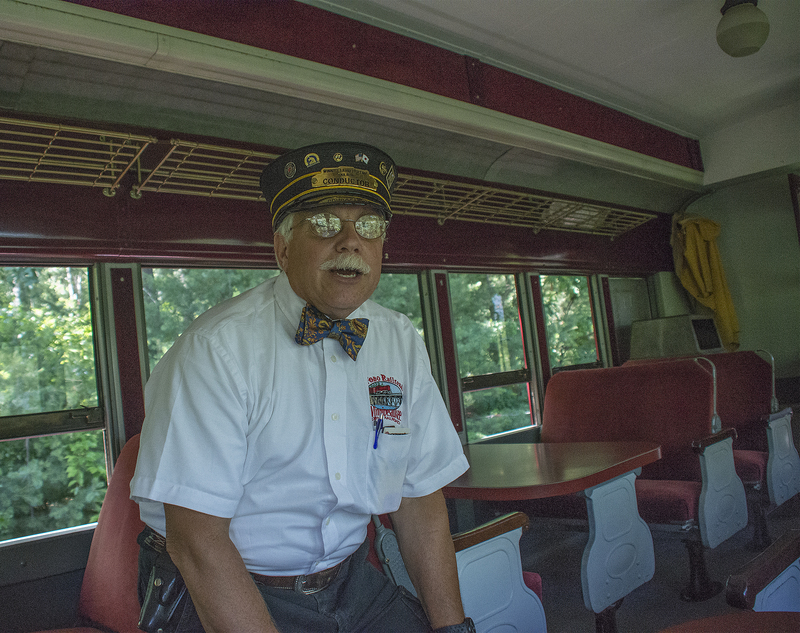 It was a two-hour trip and our conductor today was Conductor Tim. We had a very interesting chat and found out that he’s a star in his own right because he has five websites, one of which is AsktheBuilder.com. I’m sure we’ve visited that site in the past. What a small world it is! We also had a lovely chat with John the ticket seller. Both Tim and John are very interesting chaps. 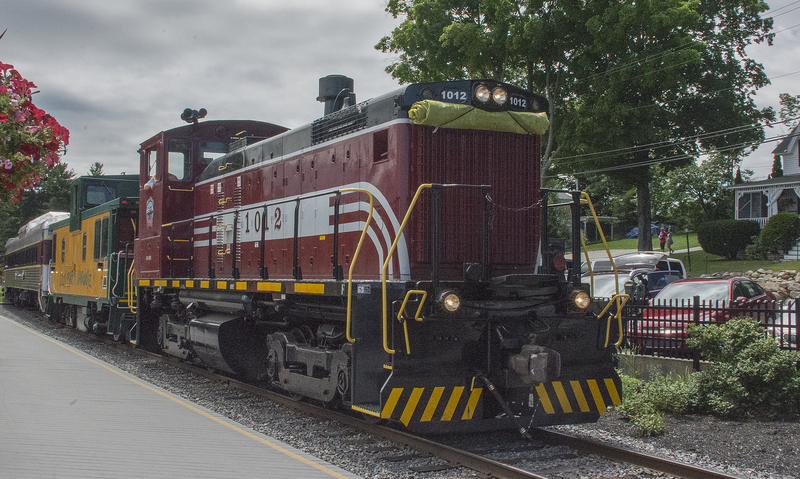 The railroad was first built in 1849 and was originally a primary route for business and vacation travel between Boston and Montreal. Our route today took us along the western shore of the Lake and Paugus Bay. The ‘Winni Express’ – don’t know it’s real name! 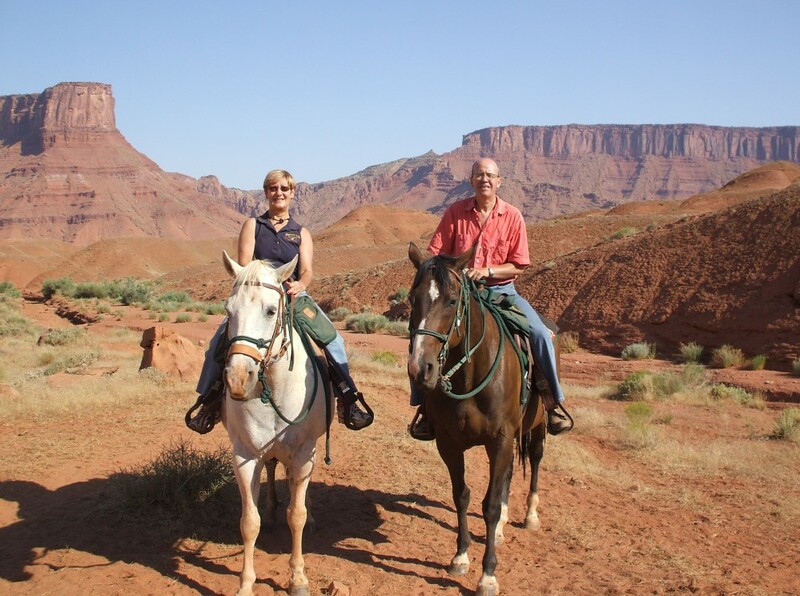 Here’s a couple of ‘old geezers’ enjoying the ride!! 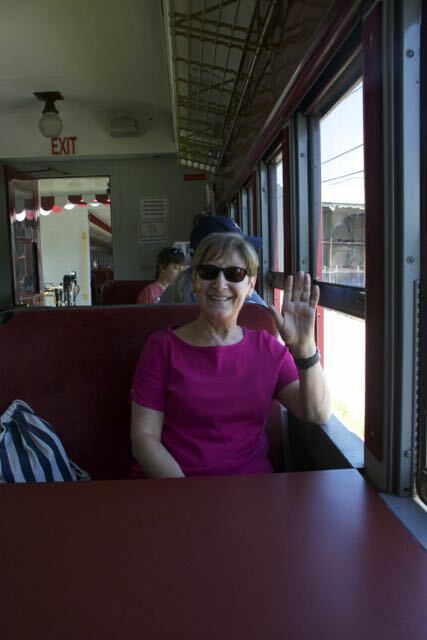 It will come as no surprise that we chose to sit in one of the dining cars and enjoyed a Hobo Picnic Lunch of rolls, crisps, cookie and a drink, served to us by, I think, Theresa. Included in the price was either a Hobo pack back or brindle stick! (Thanks Conductor Tim for giving me the correct name). I can hear you asking “what are they?” Well, here they are. Of course I’d want the brindle stick, it’s nice and big to put in one of the suitcases, because as you know, there’s plenty of space in them …… not!! The trip and the scenery were great. People all along the route were waving at us and there were two people on a jet ski who decided to try and keep up with the train, which they did and were waving at us when all of a sudden and for no apparent reason they both suddenly fell off. We all laughed, it was quite a funny sight but that didn’t deter them, they both clambered back on and took chase once again. Here are a couple of videos taken from the train. 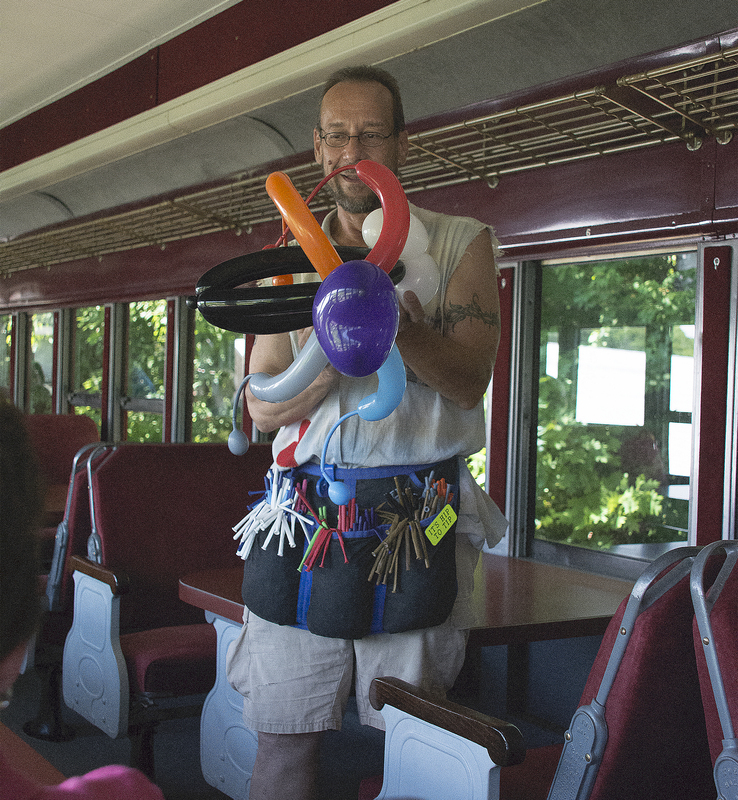 There was also a balloonist on the train who occupied his time making all kinds of balloon animals and funny hats for the children. He was very good. After we left Weirs Beach and were heading home we stopped off at a place called ‘Meredith’ because yesterday as we zoomed through the town I happened to spy a magnificent waterfall so today we stopped to take a look. Completed in 1818, the canal and waterfall connect Lake Waukewan and Lake Winnipesaukee and once powered several mills. Now it is the centerpiece of the Mills Falls Marketplace and Hotels. It was a fun day and finished off tonight with another superb meal at The New England Inn Coach House Restaurant. I had just about the best steak I’ve ever consumed and Si had prawns with grits (rice pudding to you and me) followed by a delicious pork chop. (Sorry, no photos today). We so enjoyed it we are going there again tomorrow!! ‘Boring’ I hear you cry, try somewhere different! Sandra and Simon, what a great writeup. Thanks for the link to my AsktheBuilder.com site. It was great to talk with you on the train. 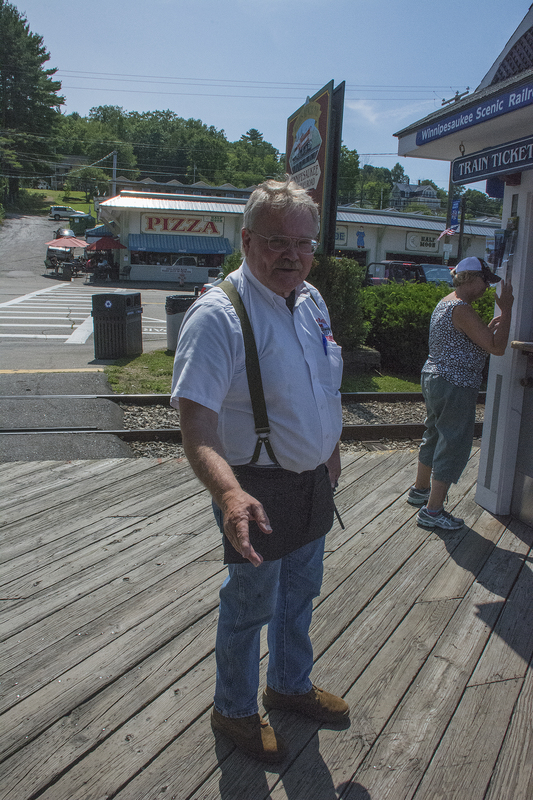 The ticket man’s name at the Weirs is John. 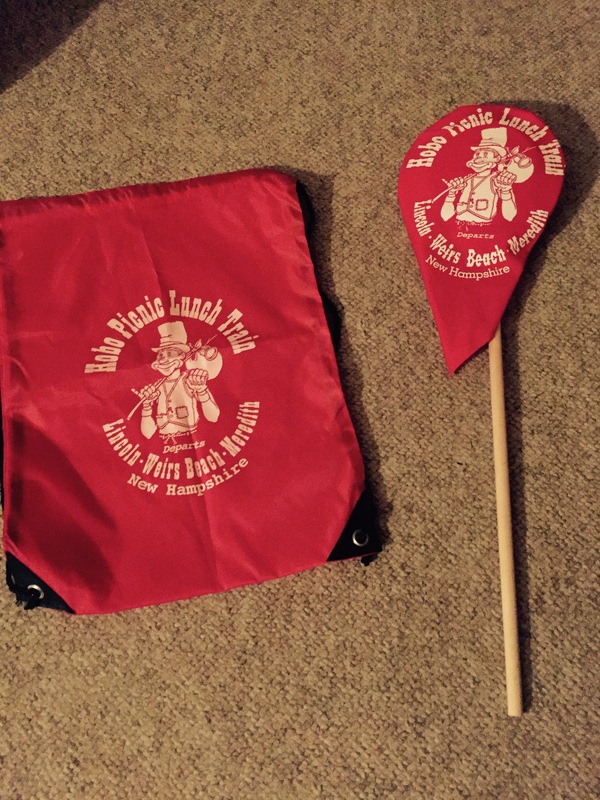 The stick that goes with the Hobo sack is called a bindle stick. I’m glad you had a great time on the train and sure hope to make it over to the real Hampshire where you live! Thanks Conductor Tim, hope to see you in Hampshire one day!